The Book Jumper is a children’s book by German author Mechthild Gläser. Amy and her mother flee Bochum to take refuge on a forgotten Shetland island. Years ago, when she was pregnant with Amy, her mother left the island just as helter-skelter as they left Bochum now. Amy never knew why. She also never knew her dad. The island, the castle, and Amy’s grandmother are all very mysterious, but not as mysterious as learning that Amy is a book jumper, like everyone in her family. Book jumping is an important ability that gets lost once people get older. Together with two other young people Amy is taught in the art of book jumping. In the beginning book jumping novices have to stick to a favourite book. In Amy’s case that’s The Jungle Book. She is told that it’s important not to stray from the path of the story or to interfere with it. The book jumpers are vital for literature because they have to make sure that the stories remain exactly as they were originally written down. Among other things, Amy is taught that she can only jump into a book from a specific spot and when she puts the open book on her face. She realizes soon, that this isn’t a necessity for her. She can jump into any book pretty much from wherever she wants. Already on her first jump into the jungle book, she strays from her path and meets Goethe’s Werther. Together with him, she travels in the no-man’s-land between different stories or enters other novels, like Alice in Wonderland. It doesn’t take long until she realizes that there’s something wrong in the land of literature. It seems that a thief is stealing ideas and important story lines get either jumbled or lost. 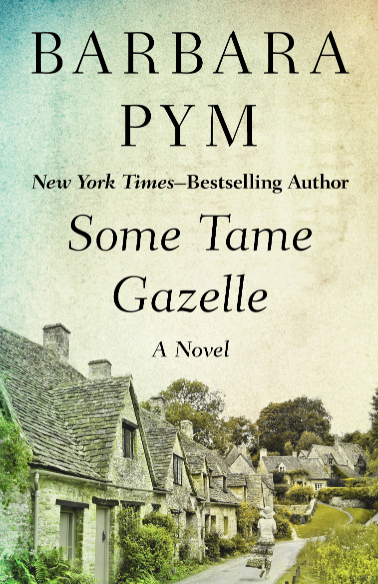 Together with Werther and Will, another book jumper, Amy tries to catch the thief. Unfortunately, the thief is quite dangerous. He kills a beloved literary character and, in the end, even attempts to kill Amy and her grandmother. I can’t really tell much more without spoiling the story. When Lizzy proposed to read this, I really liked the premise of the book. The idea to jump into your favourite novels, meet favourite characters was so appealing. Sadly, this didn’t work for me. I read it pretty quickly, it had some amusing moments and characters, especially Werther, but it felt quite lifeless. Even the love story between Will and Amy, did only work at first. The solution to the story felt forced. The only thing I liked, was Amy’s back story. The book is initially amusing, but not exactly a must-read. Something was missing. It may sound weird, but it isn’t fantastical enough. I also didn’t like that Mechthild Gläser spoils a few classic stories by giving away the ending. On top of that, the German blurb is misleading. We’re led to believe Amy will become friends with Elizabeth Bennett, but she only sees her once and very briefly. I hope others enjoyed this more than I did. A while ago I was contacted by a small company – Literary Book Gifts – that produces gifts for book lovers. I had a look and liked their products so much that I decided to feature them for German Literature Month and offer one of their T-shirts, The Grimm’s Fairy Tale shirt, as a give-away (co-sponsored by Literary Book Gifts). The company produces T-shirts for women and men and tote bags. All of them with great book-related art work as you can see below where I share some of my favourites. Each T-shirt comes in various sizes and colors. 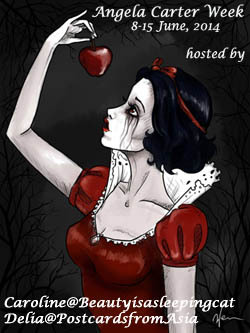 The T-shirt I’m giving away is a Grimm’s Fairy Tales T-shirt. This too, is available for men and women and in various colors. If you would like to win a T-shirt, leave a comment below. The giveaway is open internationally. The winners will be announced on Sunday November 4 2018, around 18:00 Central European time. If you’d like to buy something from Literary Book Gifts, you can use the promo code beautyisasleepingcat20. It will give you a discount of 20%.